Who loves math? We love math! Seriously, if we want kids to be excited about math, to really make math something that isn’t dreaded and can instead be fun, engaging, and educational all at the same time, it is time to start bringing math to life! Which is why I have agreed to be the coach for a local Crazy 8s Math Club, and we have been having so much fun getting this program off the ground. The after school coordinator at our local school was really excited to have me on board, and all it takes is one night a week to have a little fun with math! 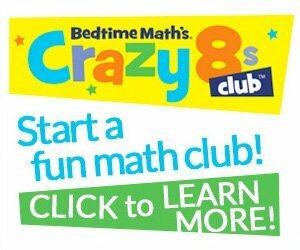 Crazy 8s is a nationwide after-school math club designed to get kids fired up about math. Every week they get to build stuff, run and jump, make music, make a mess…and make friendships at the same time. 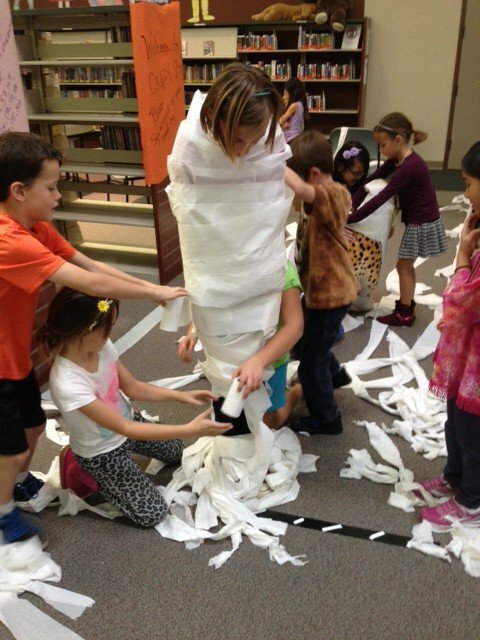 Clubs meet on a weekly basis for 8 weeks (4 for preschool) with mischief-making activities like Bouncy Dice Explosion and Toilet Paper Olympics. Nearly all materials needed are in the free kit, and it’s easy to coach! 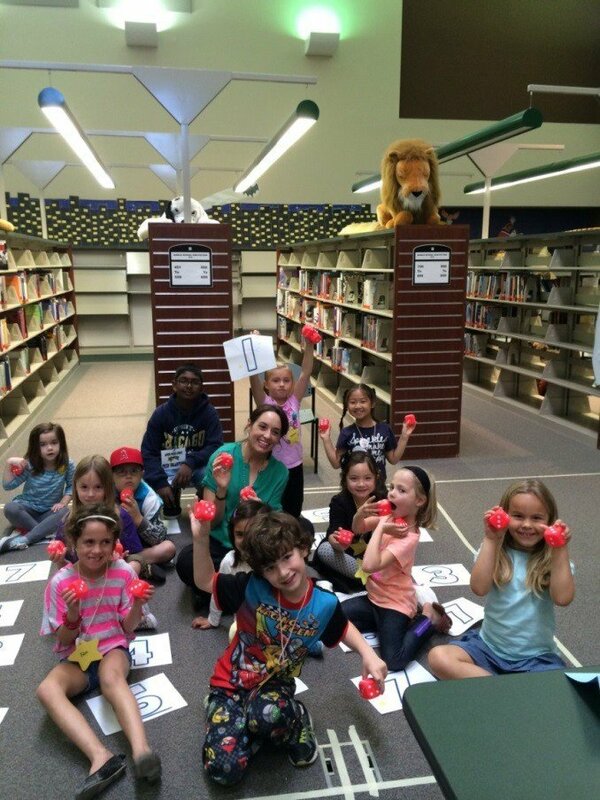 If you want kids to love math as much as we do around here, you can start a club in your own area too! It is free to do, and materials will be provided for you, plus IT’S FUN! Head over to Bedtime Math to learn how to sign up. Hey, I get it. Clubs aren’t for everyone. 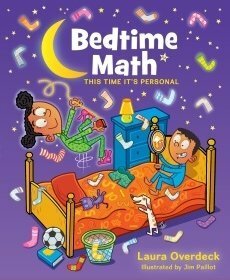 If you still want a great resource that gives your kids an extra dose of math, but is fun at the same time, you definitely need to check out the Bedtime Math books. I have two of the three books, and my kids absolutely love having these as their bedtime story. And why wouldn’t they? With humorous stories tied in with age appropriate math, these books had them begging to do math every night! In addition to the great books, the Bedtime Math website is an amazing resource all on it’s own. You can find a fun math app, math videos, and even get a daily math problem to try out. With fun stories like, Licking Your Own Eyeball, kids are sure to be engaged, entertained, and lose a little fear of those usually dreaded numbers. In Licking Your Own Eyeball, a fun story is featured about geckos and their long tongues. Then math questions are asked in three age groups. Younger kids are asked, “If a gecko has 4 sticky, tree-climbing feet and you have 2 not-so sticky feet, who has more feet?” Little kids and Big Kids each have their own set of questions as well. Check it out and see how much your kids love answering! If you already give your kids a head start with literacy by reading to them at night, wouldn’t adding a fun bedtime math book be something you’d love?! Thank you to Bedtime Math for providing me with a great set of math books, tools, and compensation for my time. All opinions and the love of this program are my own.